Smart energy is not just about using the right tools, but also the right management of those tools. Our goal is to reduce your footprint, and save you money. 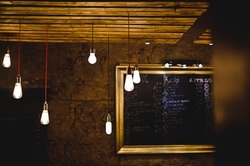 We offer full energy audits for your business, specializing in Lighting, HVAC, and Controls. ﻿LED lights use from 1/3rd to 1/5th the amount of electricity as Compact flourec and Incandescent bulbs, and last up to 10 times as long.